World Rugby is planning a revamp of the international calendar with the launch of a 12-team World League from 2020 that will include Six Nations and Rugby Championship sides as well as the United States and Japan, but the proposal has been questioned by leading players. The shake-up would also see 2019 World Cup hosts Japan and the United States invited to join New Zealand, Australia, Argentina and South Africa in the southern hemisphere's Rugby Championship, the New Zealand Herald reported on Thursday. The format would see the teams playing each other once during the year and culminate in semi-finals and a final in the northern hemisphere in early December. It would, however, exclude developing European nations like Romania, Georgia and Russia and the Pacific Island teams Fiji, Samoa and Tonga, which prompted concerns it could signal the death of Pasifika rugby. A shake-up of international rugby has long been mooted by World Rugby vice-chairman Agustin Pichot, who has said the international game was under threat and struggling financially and the game's power brokers met in Los Angeles last month to discuss the World League proposal. Almost 40 international players, however, held a conference call late on Tuesday about the proposal and said they had serious concerns over player workload, increased long-haul travel and a lack of opportunities for Tier Two nations. They also felt the integrity of international rugby would suffer. 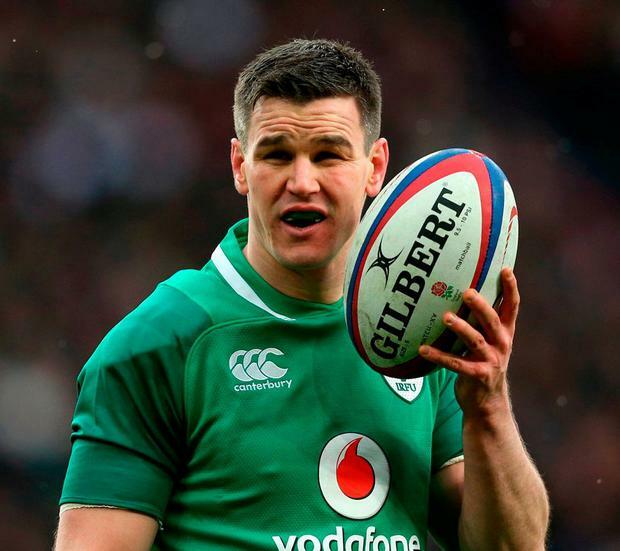 "While players gave this idea a cautious welcome when we met at the end of last year, it now seems like a commercial deal on the future of the game is being negotiated at a rapid pace with little consideration given to the important points we raised with World Rugby in November," Ireland flyhalf Johnny Sexton said in an International Rugby Players' (IRP) statement. "To suggest that players can play five incredibly high-level test matches in consecutive weeks in November is out of touch and shows little understanding of the physical strain this brings," added Sexton, who is the President of the IRP, which is the players' union. All Blacks captain Kieran Read added that test rugby would suffer if the proposal went ahead and player concerns over workload had to be taken into account. "We need to be very careful that we balance the commercial needs of the game, with the player welfare needs and ensure the quality and integrity of matches meets expectations," Read said. "Fans want to see meaningful games; they don't want to see fatigued players playing a reduced quality of rugby as part of a money-driven, weakened competition that doesn't work for the players or clubs." Rugby's governing bodies, however, were not prepared to discuss the proposal. New Zealand Rugby Chief Executive Steve Tew, who attended the Los Angeles meetings, had said earlier on Thursday it was too early to talk about changes to the calendar. "We continue to work very hard on a number of iterations for the future of the international playing calendar, but we are not in a position to discuss any of the detail at this stage," Tew said in a statement. "We will share more details when we are able to." Southern hemisphere rugby's ruling body SANZAAR said they had no comment. Rugby Australia was not immediately available to comment but said last October that it was onboard with World Rugby's plans for a radical revamp.